President Donald Trump hinted at making Andrew Wheeler’s role as acting head of the Environmental Protection Agency (EPA) more permanent Tuesday. “He’s acting, but he’s doing well, right? So maybe he won’t be so acting so long,” Trump told a crowd at the White House State Leadership Day Conference. “In Texas, they can’t get the big ships in because they need to dredge a couple of feet, standard stuff. They can’t get the permits,” Trump said. Signing off on the dredging permits could help Wheeler’s chances of being nominated to head the EPA, Trump added. 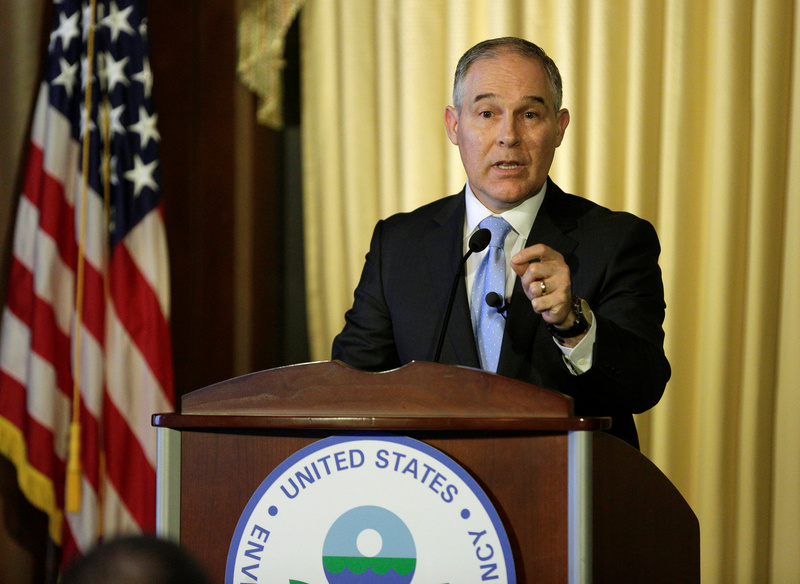 Wheeler took control of the EPA after former EPA Administrator Scott Pruitt resigned from the agency July 5. Pruitt cited “unrelenting attacks” against him and his family from the media and other organizations in a letter explaining his resignation. Wheeler’s tenure leading the EPA has seen a similar commitment to Trump’s deregulatory and pro-energy agenda as Pruitt, but without the type of negative press that surrounded the former administrator. If nominated, Wheeler would have to go through another round of confirmation hearings in the Senate and receive a majority support to be installed as the next head of the EPA.